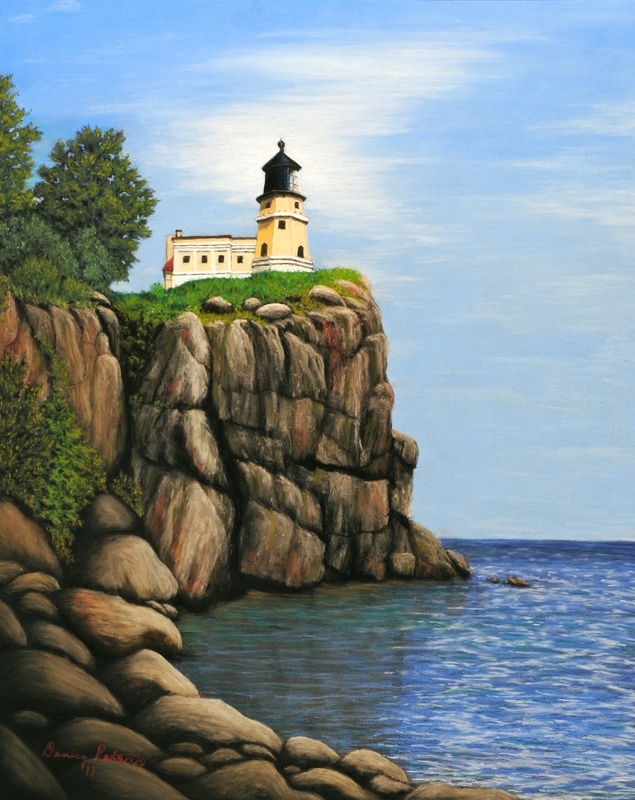 This is a pastel landscape of the Split Rock lighthouse located north of Duluth, MN. It was a beautiful day. When we climbed down to the rocky shore of Lake Superior, there was this wonderful view of the lighthouse up on top of the cliff. I just had to paint it. It is on a 16" x 20" sanded board.